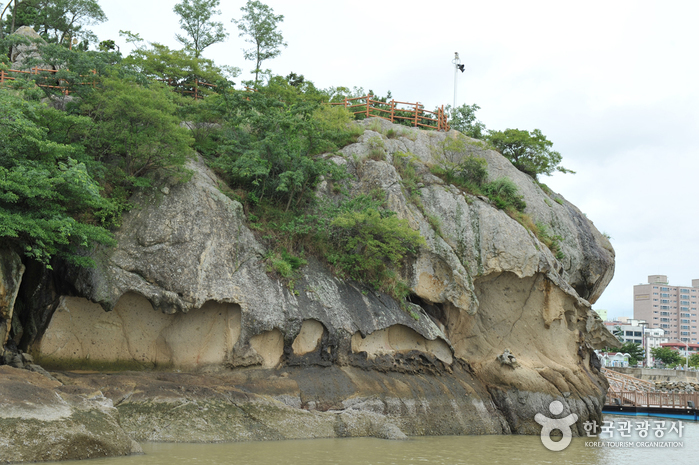 From Mokpo City, take Bus 7 or 15 to Mokpo Gatbawi Rock (목포 갓바위). 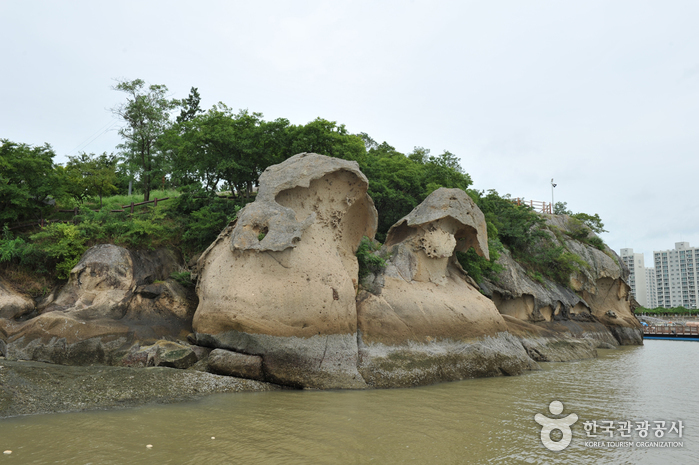 Located on the coast of Yonghae-dong in Mokpo, Gatbawi is a natural sandstone and tafoni formation near the mouth of the Yeongsangang River, where freshwater runs into the sea. 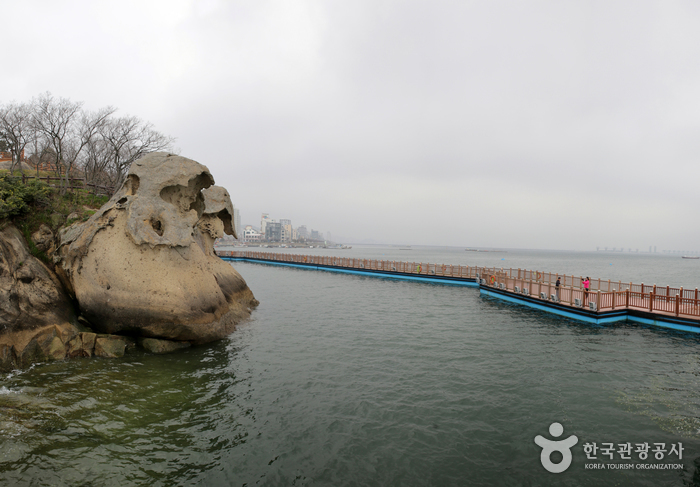 Gatbawi is named after its shape, which is said to look like a man wearing a traditional Korean hat called a “gat” (“bawi” meaning “rock”). 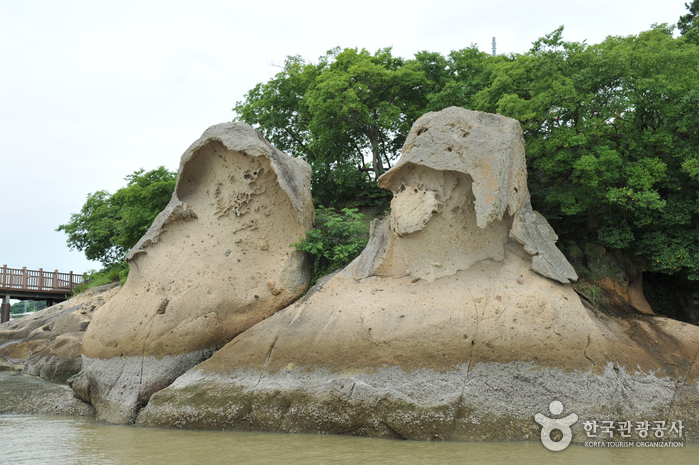 The rock is actually made of two individual formations: one measuring 8m high and one 6m high. 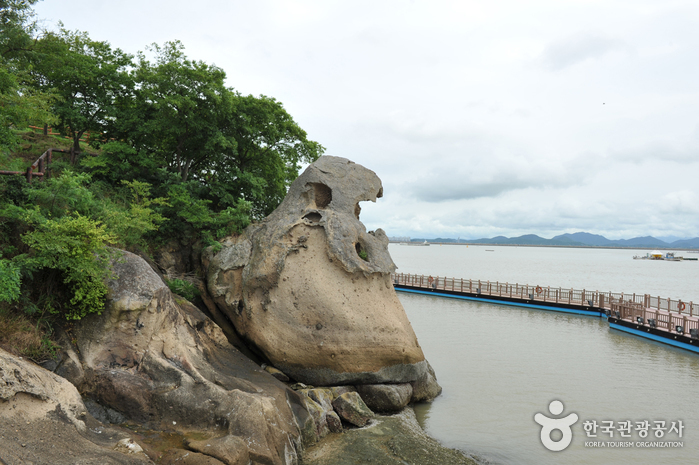 Valued not only for its aesthetics, Gatbawi Rock is of high geological value as a “natural sculpture” that was formed as a result of years of weathering. 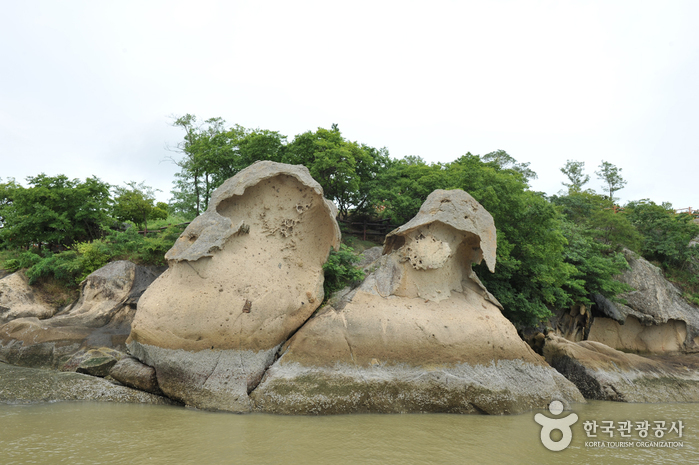 The rock formation was officially recognized as Natural Monument No. 500 on April 27, 2009.